When players take their moment, we share the delight. Buddy and his left boot. Isaac climbing to take a specky. Josh bullocking out of a pack. Or simply, the infectious enthusiasm and joy of Ben Ronke, Ollie Florent and Will Hayward as they dart across the field. But what truly matters is the precious hours you’ve spent with the people that share a connection with you and the game – your red and white family. Join us in 2019 and be in the moments that matter. The Sydney Swans are delighted to have Citi as our Official Membership Partner for 2019. 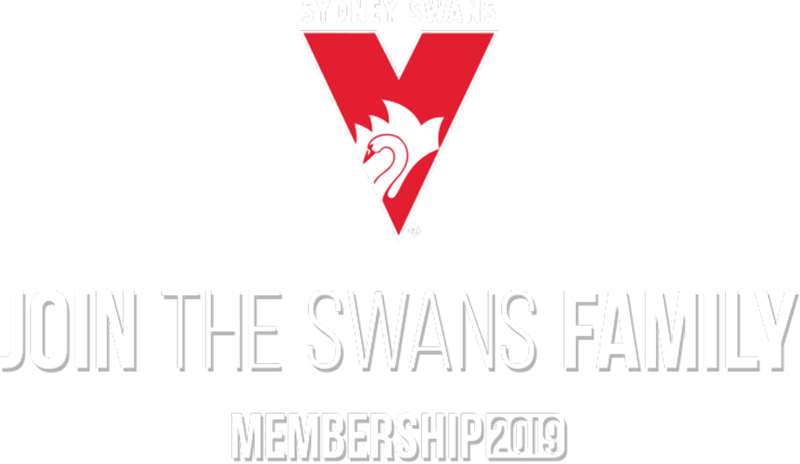 Along with bringing you our Smart Pay payment plan options, Citi will be recognising and rewarding Sydney Swans members and Citi customers throughout the year. Join today and Smart Pay for your chance to WIN $2,000. Terms and conditions apply. Make sure every member of the family is part of the team! Be there if we're there!